Under Construction. Located in Sunny Sarasota, University Village is a gated community featuring 200 paired villas, a community pool/spa, and a dog park. 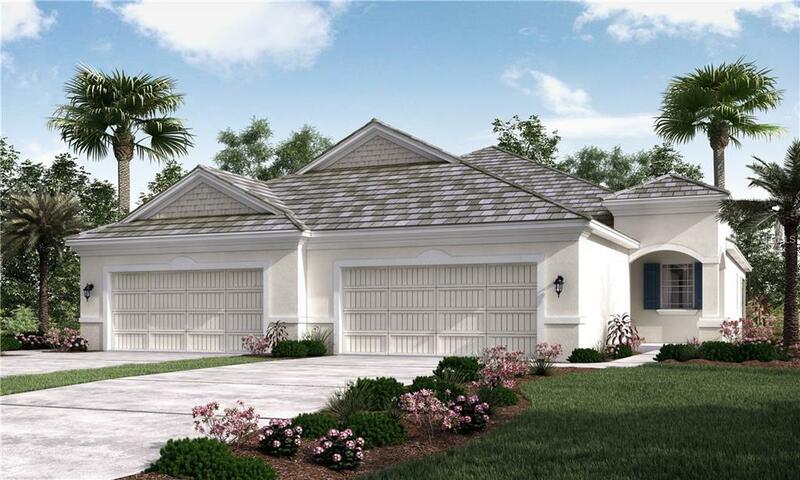 This gorgeous home is the Siesta floor plan by Medallion Home. It's an open concept layout that is perfect for entertaining with 2 bedrooms, 2 baths, 2 car garage featuring a tile roof and brick paver driveway. By living in this maintenance free community you will be able to enjoy all that Sarasota has to offer with it's close proximity to shopping, restaurants, performing arts and the beautiful gulf coast beaches. This is a new construction home that comes with a 1, 2, 10 year warranty.